Dr. Lee grew up in the San Fernando Valley. He received his undergraduate degree from the University of California at Berkeley, followed by his dental degree from the University of California at San Francisco in 1989. Upon completing his education, he returned home to the Valley where he established his practice. He is an active member of the American Dental Association, California Dental Association, San Fernando Valley Dental Society, and the Academy of General Dentistry. In addition to his full-time practice, he has taught at UCLA School of Dentistry as a Lecturer. He is active in his community where he dedicates his time and effort in serving his community. Doctor Lee has been active with the Mission Hills Chamber of Commerce where he served as Vice-President and President, and received the Small Businessman of the Year Award of Mission Hills in 1998. He has also served on the Board of Directors of the North Valley YMCA and volunteed as a staff dentist for the Los Angeles Mission where he provided much needed dental care for the homeless of Los Angeles. 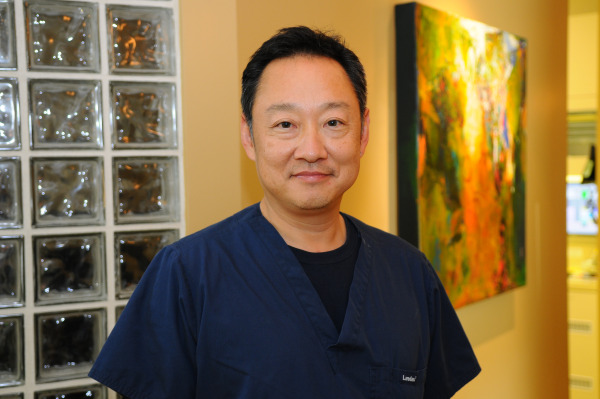 Dr. Lee has a strong commitment to provide the best quality dental care to all his patients. "Our equipment and care is definitely high tech, but our traditional approach is warm and friendly." Dr. Lee understands that good dental health and restoring teeth properly is very important. His emphasis is on prevention and helping patients achieve the highest level of health, function, and esthetics utilizing the latest proven techniques and materials. In his office, dentistry can be experienced in a safe and pleasant environment. Your health is his primary concern. He has trained his staff to the highest quality of sterilization and follows the guidelines of infection control set up by the American Dental Association. When Dr. Lee is out of the office, he spends time with his wife, Lita and three children - Noelle, Nicholas, and Nathan.